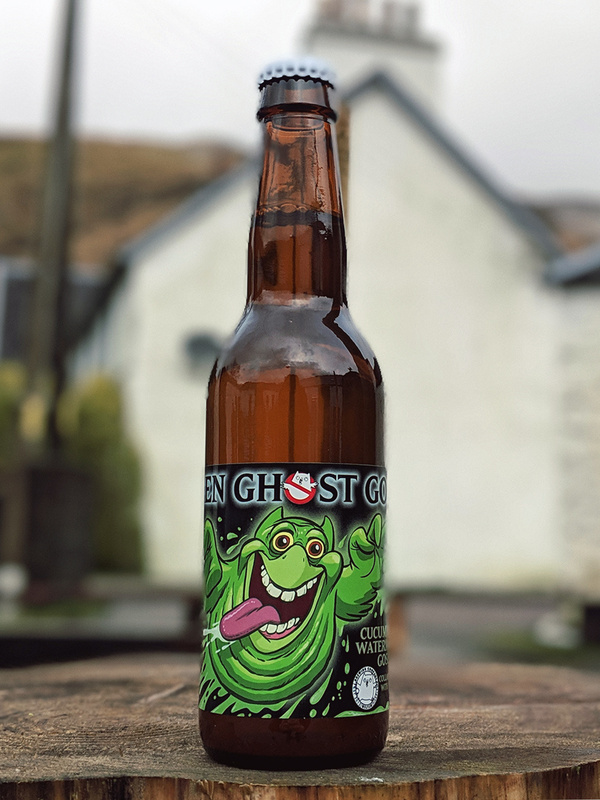 Uiltje x Fyne Ales Green Ghost Gose, a super-refreshing 3.1% Gose with cucumber and watermelon. This sharp, salty palate-cleanser sports a hazy gold body and fluffy white head. Bursting with classic lactic sharpness and fresh watermelon and cucumber, this profile is echoed on the light, crisp, zingy palate with a typical lemon yoghurt character, backed by subtle salts and more of that crispy fruit that leave you fresh as a daisy.